← The Best Olympus DSLR Lenses That I Will Personally Pick. The Best Pentax DSLR Lenses That I Will Personally Pick. This is the 4th article in this series about me sharing what are the lenses from the various manufacturers that I will pick & use on a personal basis. The last article was about the Olympus-Zuiko Lenses that I will buy for an Olympus system. Today, I am going to pick my lenses from the Pentax DSLR Lens line-up. *Surprised. My Pick for Best Pentax Zoom lens (General Lens). My Pick, the SMC PENTAX DA Star 16-50mm F2.8 ED/AL (IF) SDM or nothing. Listed under the highest grade “DA*” series, these lenses are top-of-the-lines optics. Built solid and weather proofed, the lens well-thought design is elegant & purposeful. Using both Aspherical (03) & ED (02) elements, this lens produces high contrast photos & unsurpassed sharpness even when compared to its own counterparts within the stable. Featuring a ultra wide angle to standard angle, this lens can be used a big variety of genre. The bright apeture of constant F2.8 make this lens a fast performer and beautiful bokeh is guaranteed. From Landscape to portrait, this lens is all you need. Focusing runs on supersonic drive motor (SDM) which gives the lens a fast, accurate and quiet focus, this lens is also pretty light to carry everywhere at only a mere 565gm. Though the price of this lens is a little on the high side, looking at the specs, I will say it is well worth every dollar in your wallet. This is a must get for all Pentax Professionals. Format: APS-C with a corresponding 1.5X increase cropped factor. Focal Range: Ultra Wide Angle to Standard 16mm-50mm or 24mm-75mm on 35mm formats. Supplied with Box: Instruction, Lens Pouch & Lens Hood PH-RBK 77mm. My Pick for Best Pentax Telephoto Zoom lens (Telephoto Lens). SMC PENTAX DA Star 50-135mm F2.8 ED (IF) SDM will be my pick. This is the “70-200mm” of Pentax (75-202.5mm on 35mm format) and DA Star (DA*) series lens, in short, this is a premium lens by Pentax. Expected of all DA* lenses, this lens is weather-proofed, solid built and the best “buddy” lens to SMC PENTAX DA Star 16-50mm F2.8 ED/AL (IF) SDM! Bright constant apeture of F2.8 promises performance for portraits, events or even wildlife. Hard ware aside, this lens (by far) is also the sharpest telephoto zoom in the whole of Pentax’s medium to telelphoto zoom range. It uses the same Supersonic focusing motor as the 16-50mm – (better known as SDM in Pentax language) that are fast, quiet and highly accurate. Even the weight of 685gm is light when compared to the competition! If you already have the 16-50mm, this the lens that you must have. Focal Range: Ultra Wide Angle to Standard 50mm-135mm or 75mm-202.5mm on 35mm formats. 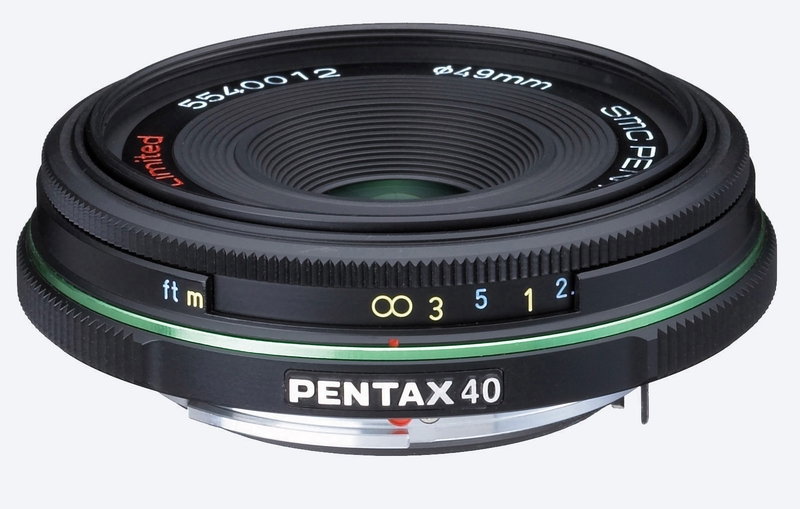 My Pick for Best Pentax Standard lens (Prime Lens). My pick for this category has to be the SMC PENTAX DA 40mm F2.8 Limited. This little “Pancake” weights only 90 gm and it is compactly designed. This is one crazy little lens that offers the photographer sharpness, high optical quality and well put together except that this is not weather proofed. 😦 Look at it as the Novelty Pentax Lens and you will enjoy the additional (sometimes unwanted) attention from other photographers. This lens is good for portraits and mild close ups, at F2.8 on a 9 blades apeture, the bokeh should be interesting. Format: M43, with a corresponding 2X increase. Focal Range: Standard 40mm or 60mm on 35mm formats. Supplied with Box: Instruction, Lens Pouch & Lens Hood MH-RC 49mm. The above 3 Pentax lenses are the lenses that I will buy if I can ONLY have just 3 lenses for a Pentax system. The selected lenses above are not your buying guide, but instead, what I will want to have in my camera bag. wonderful products that retains it’s followers and attracting more young users to the brand by introducing interesting models, editions to offer more options for photographers. Just look at the K-X & its replacement model K-R, isn’t that telling you something? Start saving for DA* lense please. This entry was posted in Brand: Pentax, Photography Articles & Videos and tagged DSLR, Lens, Pentax. Bookmark the permalink. 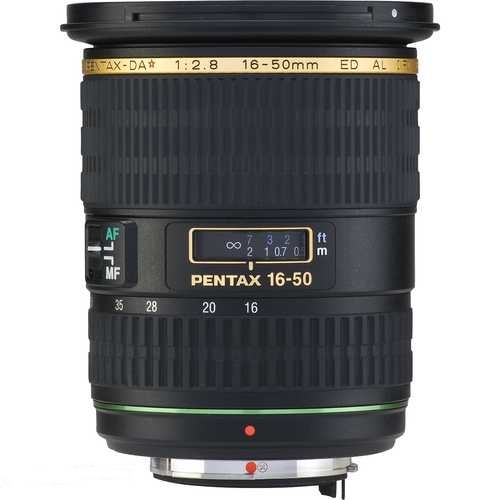 16 Responses to The Best Pentax DSLR Lenses That I Will Personally Pick. Hi Steven, the 16-50mm will be a good lens to add to your range. Greetings! Thank you for the advice! While I agree that the DA* 16-50 is a superb zoom, since I already use the also good DA 16-45, I opted for the prime DA* 55mm f/1.4 for it’s low-light capability, as well as it’s reputed high sharpness. The DA 70mm f/2.4 Limited is also extremely sharp! Thanks for your advises..did you actually try the lenses? I am new to DSLR, I intend to buy Pentax K-50 being WR, I thought to buy 18-135mm Pentax lens WR to carry only one lens. Is this sufficient for general photography? Any prime lens 50mm is required as I heard it is good for low light. Appreciate if any one respond. 18-135mm please make sure you get the WR Version. You are well covered for Travel and General photography. 50mm just get the 50mm F1.8, or the Sigma 50mm F1.4. I own a Pentax K10D. Really love this camera but it does issues with low-light pictures. Have done some research and also am presently taking a photography class where the instructor thinks that I need start shooting completely in Manual mode and change some other settings. He also thinks that adding another lens, such as the DA 16-50, would also help. I was considering upgrading to the Pentax K50 just for better quality with low-light pics and also for the video capability. The instructor thinks that with the exception of the video issue, that I can completely fix my lighting concerns and that I should invest in the lens rather than purchase another body. Do you have an opinion? Thank you so much! K-50 is great and go a long way to help you in your skills. As for the 16-50mm, we have a review to be published in 2 days. You are in luck. No-one has mentioned anything in the ultra-wide angle range here yet. Perhaps because Pentax, disappoints in this area. There’s only really the 12-24 which compares favourably with the old Tokina 12-24, and the Sigma 12-24 available on other mounts. It’s not a patch on the Nikkor 14-24 or even the Tokina 11-16.